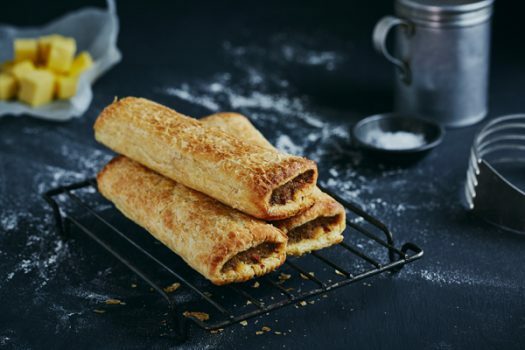 The new Beef Sausage Roll is a delicious blend of minced beef, carrot, onion herbs and spices all wrapped in our flakiest, most crisp and golden brown pastry yet. The new beef sausage roll is a country style product packed with beefy flavour. The roll boasts a greatly improved flavour profile thanks to an optimisation in the pastry process within our bakery and input from customers and consumers alike. Balfours has listened to customer and consumer feedback and conducted rigorous testing to improve our pastry and optimise the flake across our range of iconic savouries. This product is only available to route customers in New South Wales and South Australia currently.